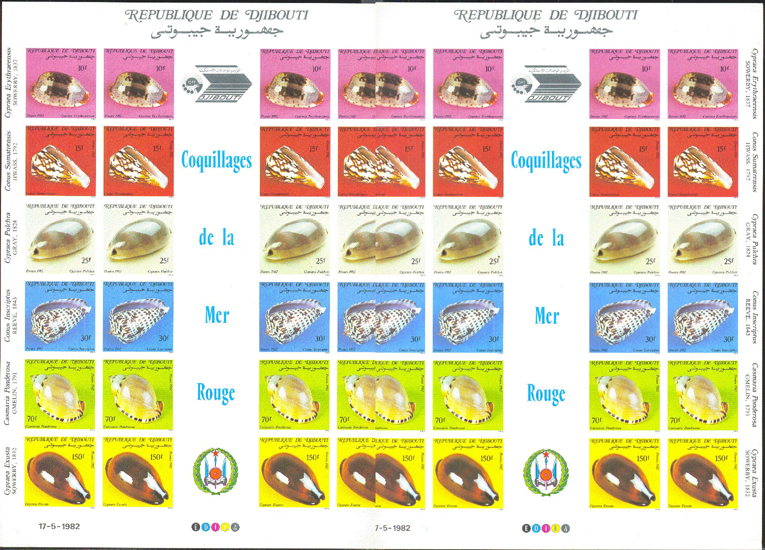 17181 EP DJIBOUTI (1982) Seashells*. Imperforate proof sheet on card stock. Scott Nos 551-6, Yvert Nos 557-62.